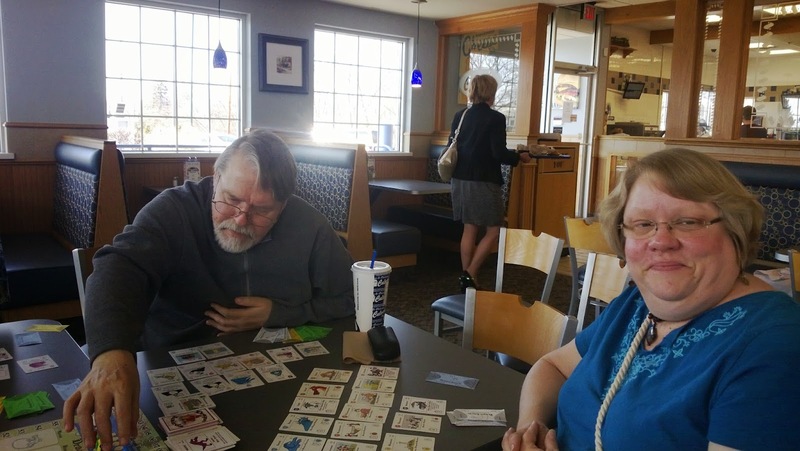 We got together on Friday at Culver's and had nine people in attendance. That's as many as I have seen since joining in last summer and the others said it hasn't seen that many in years. There was a time back in the 90s when they'd play Magic and have over a dozen every week. 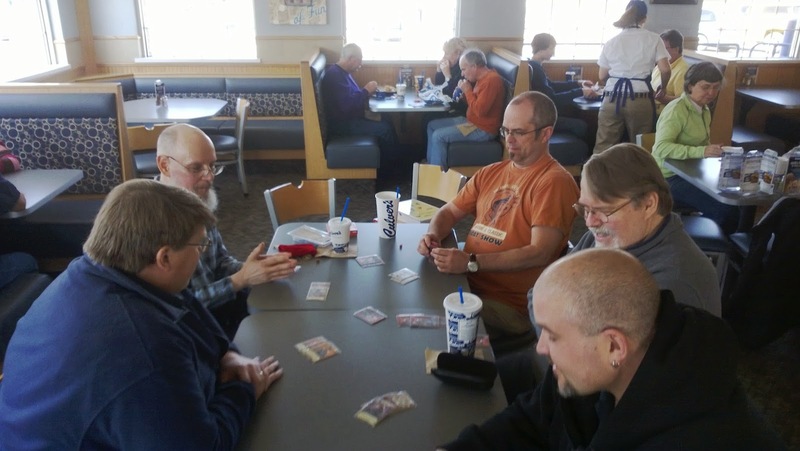 In recent time, often just two or three would make it out for the twice-weekly gaming sessions at Taco Bell and Culver's on Tuesday and Friday, respectively. 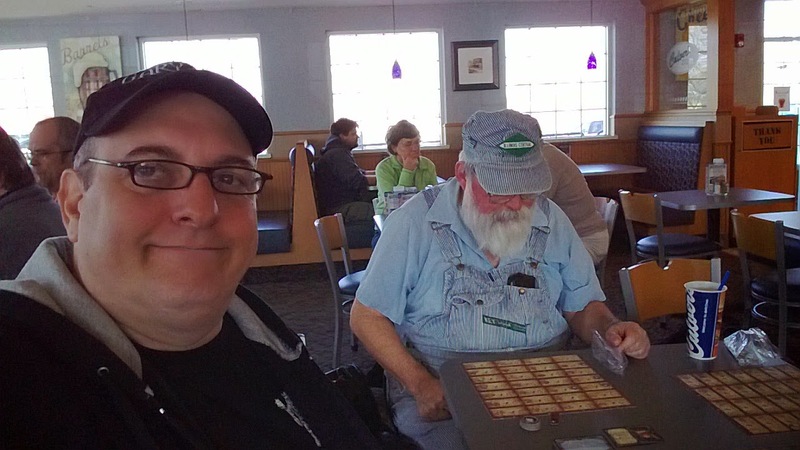 But here we are, coming off a particularly hard winter, rolling into what might be a brutally hot summer, and the gaming around southern Wisconsin is some of the best in years. 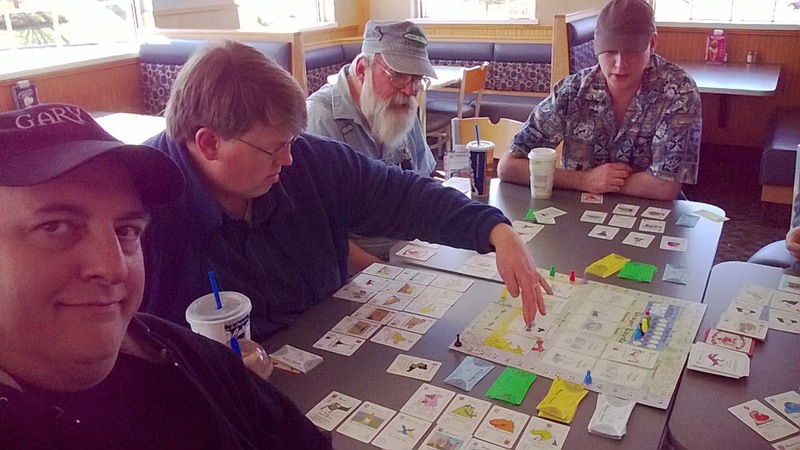 Aside from these weekly board game bouts, the first weekend in May brings us the twice-a-year Gaming Hoopla. Granted, this is going to be a mini-Hoopla, without at big raffles and pre-registration and the like, but the Hoopla folks work very hard. Putting the full Hoopla together was a tough row to hoe. It's great they figured out a way that we can still have the event without too much of the fuss and muss. 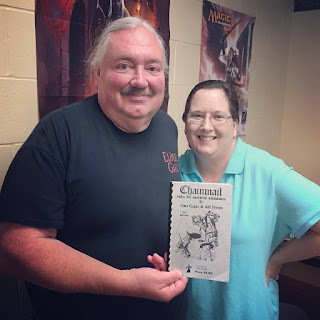 It'll be good fun and will whet our appetites for the full Gaming Hoopla coming in the Fall! 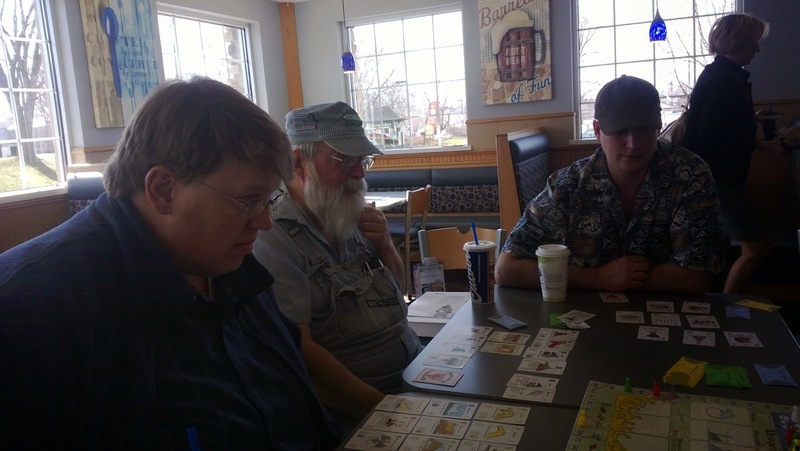 But, just this last Friday, a good crowd at Culver's meant several games and more than one happening at a time. 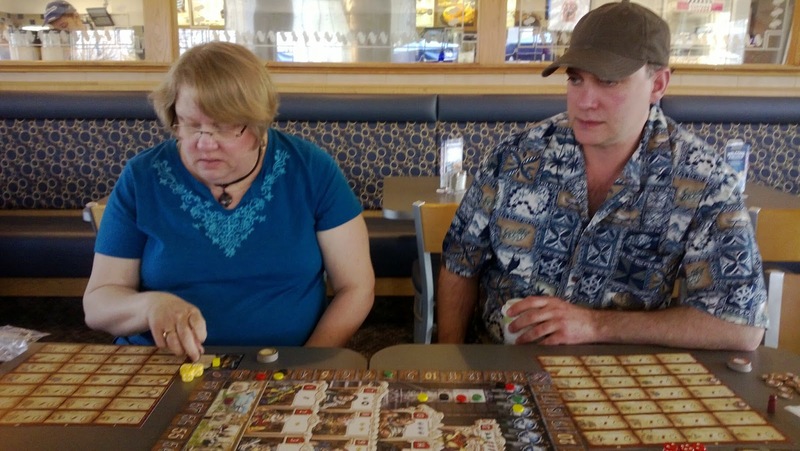 Given the crowd, four of us peeled off from the other five to play a bit of Kingsburg. Several of the gang were just stopping in for lunchtime so they need to play something shorter than that, and so broke out Love Letter. Once both were done, the remaining six of us tried our luck with Dragon Lairds. Wendy won by one point over Tom with Kurt and I tied one point behind him.